X Factor creator and co producer Simon Cowell has confirmed the worst kept secret in music circles. It is that the two finalists Josh Krajick and Chris Rene along with Astro will be get record deals. This is probably especially good news for fans of Astro who believed he got the wrong end of the stick during the live voting rounds. The artists will likely sign with Syco music, Simon Cowell’s music label that is co owned by Sony Music. The agreement with Sony is that Syco will partner with a larger Sony Music label that will provide the marketing etc. and is likely to partner with Syco for “X Factor” U.S. artists are Epic Records, Columbia Records and RCA Records. Its the top seven performing tonight. Last week we saw Lakoda Rayne and Leroy Bell go home. 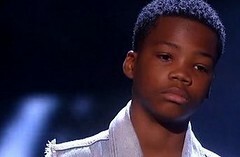 So far I have not missed a single one of the acts eliminated. However we are closing in on the top talent pool now and to challenge them even further they have upped the ante with this weeks theme. 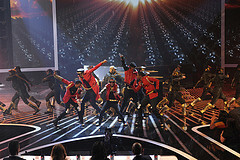 The contestants will be singing songs from the Michael Jackson catalog. Which means they have access to his music and that of the Jackson 5. And to add to the pressure, in the audience are three of his brothers, Marlon, Randy, Jackie, his mother and his three children, Prince, Blanket and Paris. Last night the top nine performed, and there were definitely some great performances. Its going to be really hard to see another contestant leave the show. What makes it worse is that tonight is a double elimination. Two acts have to go home, one who has the lowest votes out of the nine and the next two will battle it out for the judges votes. This week the top nine performed, singing a song to someone special. While this leaves a lot of room in terms of song choice, we can expect to hear a lot of personal dedications. Last week was a shock bottom two of Stacey Francis and Astro. Astro was saved and Stacey went home, leaving this weeks top nine. 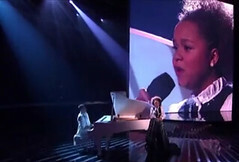 The nine contestants left are: Melanie Amaro, Rachel Crow and Drew, Astro, Marcus Canty, Chris Rene, LeRoy Bell, Josh Krajcik, Lakota Rayne. Thursdays results show opened with a group performance of We will Rock You, to tie in with this weeks theme. To recap, in yesterdays show, the top 10 performed Rock tracks. While some of the judges and fans didn’t think many of the songs fitted the Rock moniker, some of the contestants shone outside their comfort zone. Today we find out who the bottom two were, and who gets voted out by the judges. Will Paula lose her last group and be out of the competition? or will it be a solo performer? This week the top 10 performed and we are expecting greater and greater things from our top 10. The initial plan was for this to be Madonna and Lady Gaga week, but Simon changed his mind and it was changed to “Rock”. 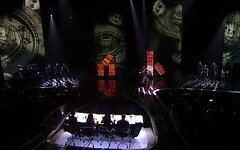 It will be interesting to see how some of the contestants adapt their style or the song to this weeks theme. As is now the norm, one contestant will be voted out based on today’s performance along with the announcement tomorrow. Last night the top 11 performed. There were some great performances and some not so great ones. Last week the bottom two were the groups Intensity and Stereo Hoggz. Will that be a a sign of things to come? read on for more. As usual we have guest performances and today we had Willow Smith taking the stage to perform “Fireball” and “Price Tag” star Jessie J will performed “Domino”. Here we are at the performance of the top 11. 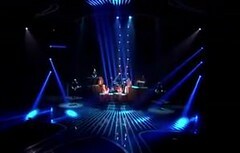 This week, we will finally find out who will make the top 10 of the first season of X Factor. Just like last week, there will be two shows, the performance and results show. The performances are getting more and more polished as the contestants adjust to the demands of the show and the judges start to get a better idea of what sort of artists the performers want to be. 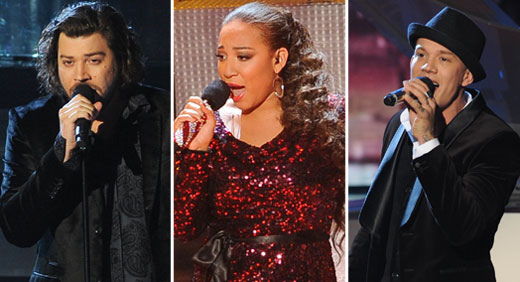 Last night the top 12 acts performed live and their fates put in the hands of America. All in all, every single one of the contestants did well and drew praise from the judges. If there was any criticism, it was between the judges, who did not agree with some of their colleagues choices in songs and acts. To recap, the top 12 acts are: Stereo Hoggz, InTENsity, Marcus Canty, Drew, Leroy Bell, Astro, Lakoda Rayne, Rachel Crow, Chris Rene, Josh Krajcik, Melanie Amaro, and Stacy Francis.